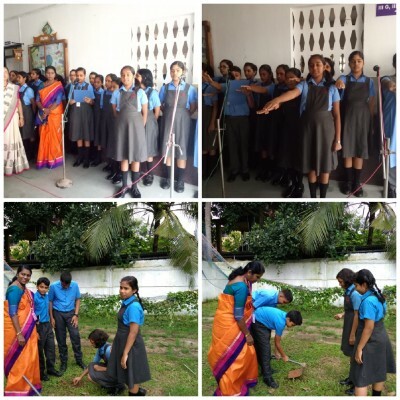 We, at The Delta Study, Fort Kochi believe “You can’t go back and change the beginning but you can start where you are and change the ending” .To observe the World Environment Day in a unique manner, we organized a series of activities. The day commenced with a special speech by Diya Khona student of class IX during the assembly. The Principal Mrs. Shireen Francis said “Present scenario seeks the change in our life style. She emphasized the need to use alternative products instead of plastic at school". Eg- Pencil box, lunch packs ,water bottles etc.Interactive awareness class was held by our teacher Mrs.Jyothi Vittal for students.Inter house and class wise competitions were conducted to spread the message” Save Mother Earth”. As part of Outreach program the echo club of the school made paper bags and distributed it in the shops in the neighbour hood to campaign for plastic free zone.Saplings were planted to convey the message of “Cleaner and Greener Earth”.